BATON ROUGE, La. 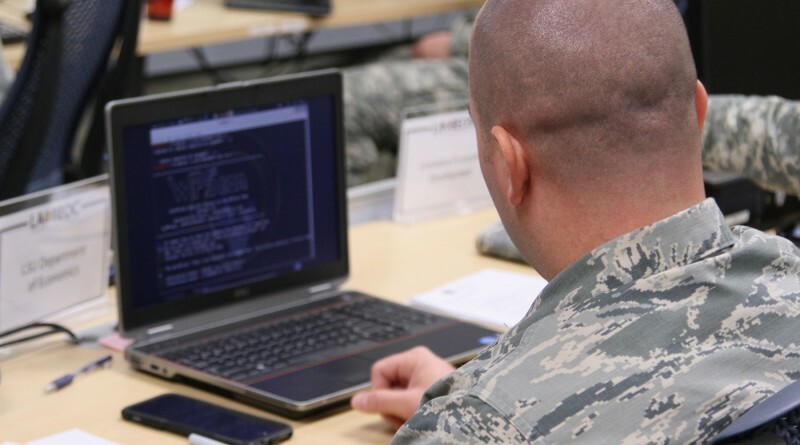 – More than 40 Louisiana National Guardsmen with the Cyber Defense Incident Response Team (CDIRT) took part in a two-day training event at Louisiana State University’s Stephenson Disaster Management Institute in Baton Rouge, Nov. 14-15. 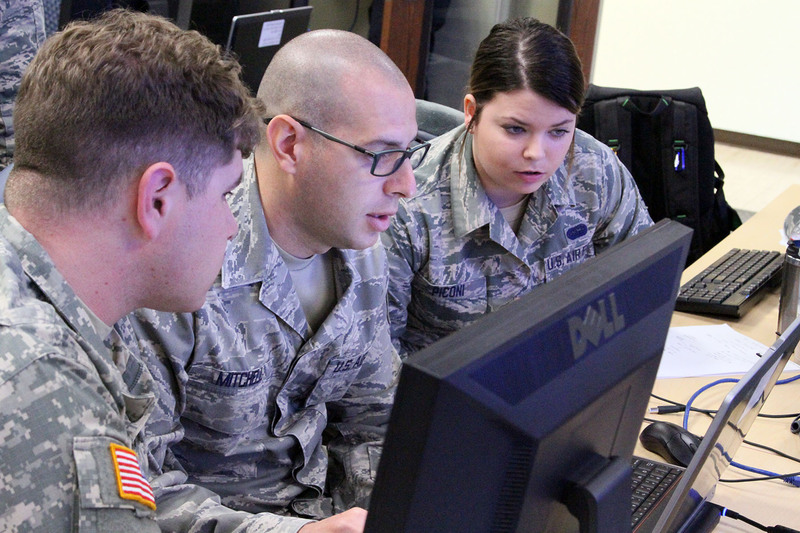 The team was created to respond to cyber events within Louisiana, to secure and restore affected networks by defeating threats and restoring normal operations. 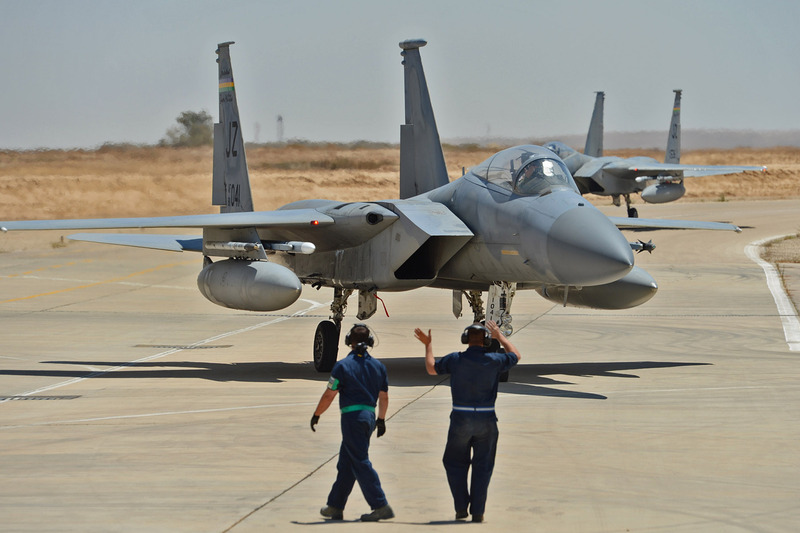 It is made up of Soldiers and Airmen who have technology backgrounds in both their civilian and military careers. 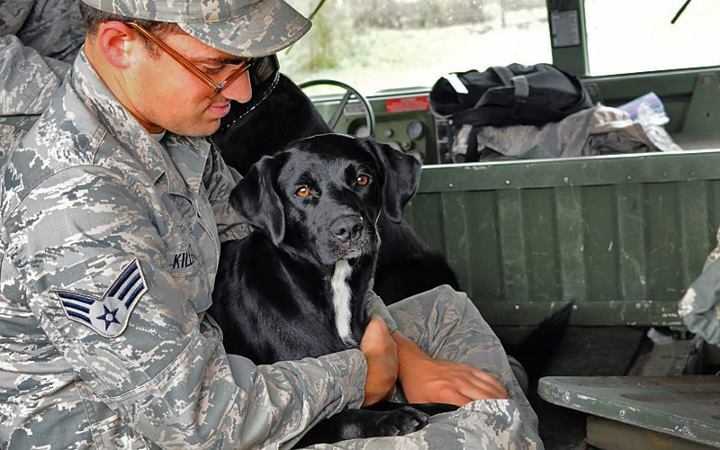 They can be mobilized to work with the FBI Cyber Task Force to respond to cyber threats around the state. 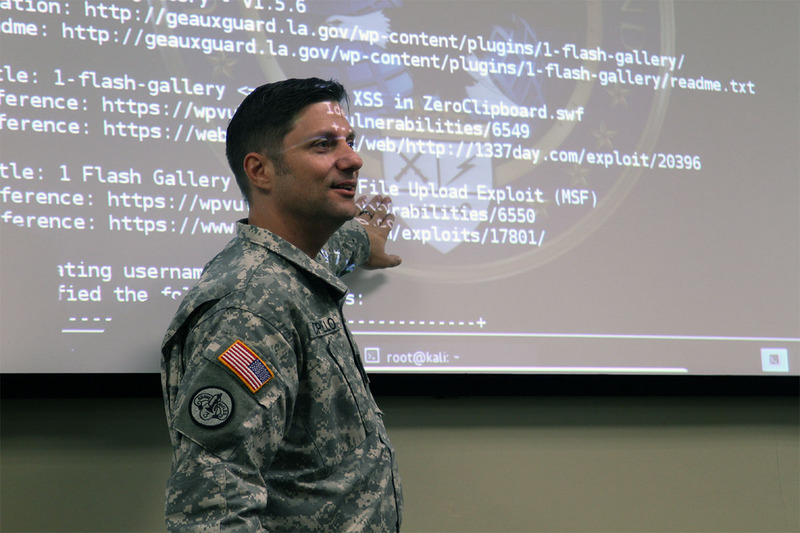 Capello stressed the importance of maintaining a strong cyber presence to defend key Louisiana assets, such as oil and gas pipelines, government security, and even daily things that everyone deals with such as traffic grids. 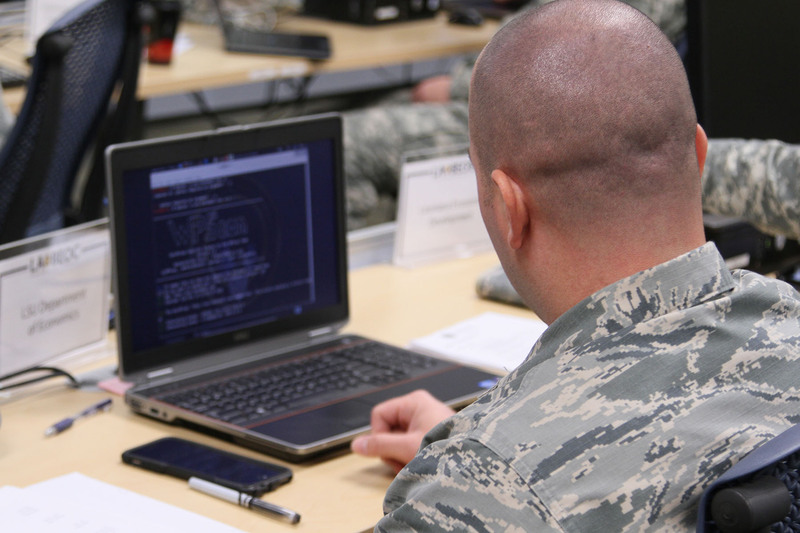 Members of the CDIRT practice looking for potential security breaches by logging onto specially programmed computers that simulate unusual activity on common operating systems and website platforms that may indicate that a hacker is actively trying to compromise a website. 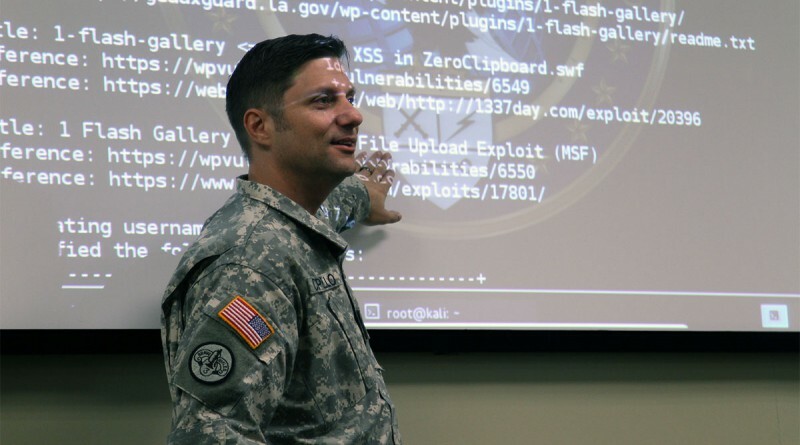 Vulnerability scanning is a security technique used to identify security weaknesses in a computer system, and Piconi said that the CDIRT uses that technique to look for areas that need attention in Louisiana’s technology platforms. 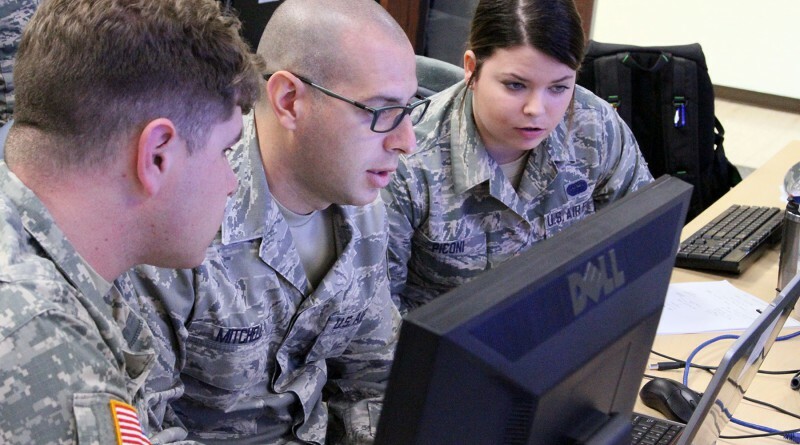 Capello said that the CDIRT works especially well because the Soldiers and Airmen on the team are spread across the state from Shreveport to New Orleans, and a localized team can quickly be sent to an area where there is any suspicious cyber activity.